ILTACON 2017 Annual Educational Conference — Traveling Coaches, Inc.
Join us at ILTACON 2017! We've created a full line-up of events for your ILTACON pleasure including engaging sessions, interactive events, and social networking opportunities – plus a whole lot of TC-style fun! Make sure you visit Traveling Coaches at booth 304 during the conference. We look forward to seeing you! The stars will align at ILTACON 2017. Traveling Coaches invites you to CONSTELLATION, a networking affair written in the stars. In Traveling Coaches style, join us for a night of high energy networking, drinks and dancing. Our annual Sunday night event will be held at LIGHT nightclub in Mandalay Bay. It’s a stellar setting for connecting with the ILTA-sphere. Reserve your ticket to CONSTELLATION today. 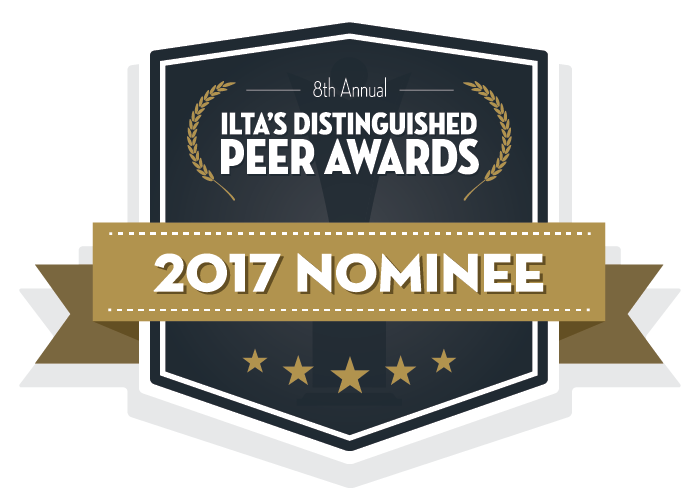 This exclusive event is open to registered ILTA members ONLY. Your ILTACON badge and Eventbrite ticket (Mobile or print) will serve as your entry into the event. Guests must be 21 years or older with proper photo ID. *Vendors will not be permitted inside unless registered as an event sponsor. We’re in the hunt for our next blue ribbon and we’re stepping our game up to the next level. Since 2011, Traveling Coaches has won four blue ribbons and the next one is so close we can almost taste it. Join us at booth 304 to enjoy our creative crew and experience the interactive elements we’re bringing to the table this year. Are you struggling to assess skills at your firm? Or perhaps you already have done an assessment and are not sure what to do with the data. Traveling Coaches is passionate about change management, user adoption and employee development. Join us to learn how the right combination of tools, technologies and skills assessment strategies can lay the foundation for personalized learning programs that drive results. We’ll share our secrets for evaluating competencies and share tips for turning that wealth of information into actions that truly enhance employee performance and build critical skills within your firm. As legal technologists, we are brimming with good ideas about how we can improve the efficiency and effectiveness of the organizations we support. There is just one problem: gaining buy-in from senior management. This can be hard enough in a typical business environment, but when your bosses are professional arguers as in legal, you had better hone your skills lest your brilliant ideas die on the vine. Join our professional development session as we explore the methodology behind getting your point across and taking your ideas from thought to action. You will also have the opportunity to hear directly from the head of a law firm technology committee on what is most important in these discussions. Alice's fictional looking glass reflects a world that is both subtly and radically different from the familiar. If today’s training leaders could see into the looking glass of the future, what would be different? Will the classroom format work for electronically sophisticated, fast-paced users? What new tools and methods are available now to train more effectively and keep users engaged? Come find out how training will remain key to empowering people to succeed. Many law firm's conduct external penetration tests, but you can still be hacked. Whether you've been through a dozen tests or are facing your first, it's important to gain insight into the most common ways hackers gain access to a law firm’s data and assets. Learn about the best controls you can put in place to defend against these threats. OnGuard™ is the gold standard for firms wishing to create and sustain a culture of information security. Learn how to make your people the first line of protection. Join us and OnGuard clients, Munsch Hardt, Kramer Levin, and Phillips Lytle to hear about how they are successfully leveraging OnGuard as a critical element of their information security program. LegalMind™ Personal Learning Portal, a comprehensive solution for talent development created to engage learners and build high value competencies. Join us and our clients, such as Baker McKenzie and Vorys to learn why firms are embracing LegalMind™ to develop competencies most valued by lawyers and staff alike. Springboard™ is a suite of consulting and talent development services designed to help law firms transform their learning programs and develop new skills to support 21st-century learners. Join our award-winning team and clients Kelley Drye, Kramer Levin, and Sheppard Mullin to learn about our one-of-a-kind Certified Legal Trainer Program as well as some of our most recent Legal Education Action Plan (LEAP) engagements.